Dipping my brush back in the paint pot. I finally managed to get some painting done. 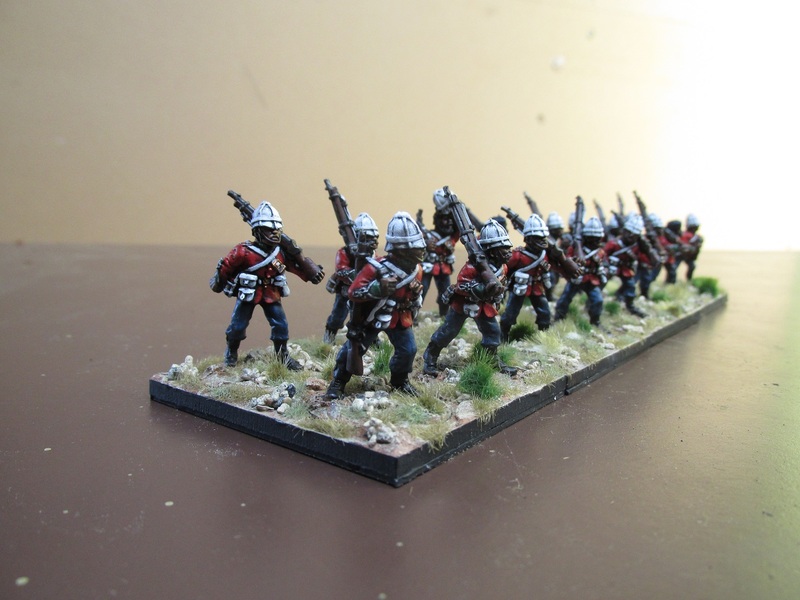 Painfully slow but finished two units for my Anglo-Zulu Wars project. 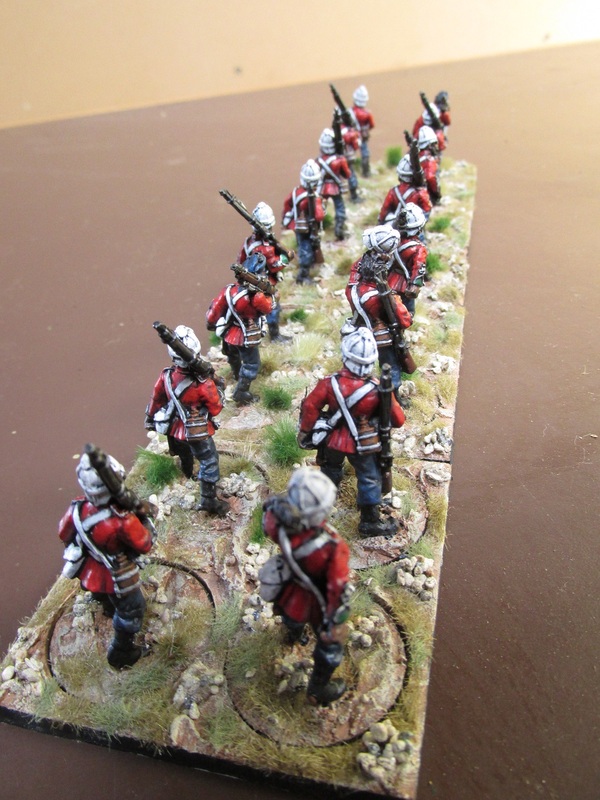 FIrst off, a company of British Infantry. These are Black Tree that I got a few months back as part of a large order during one of their sales. 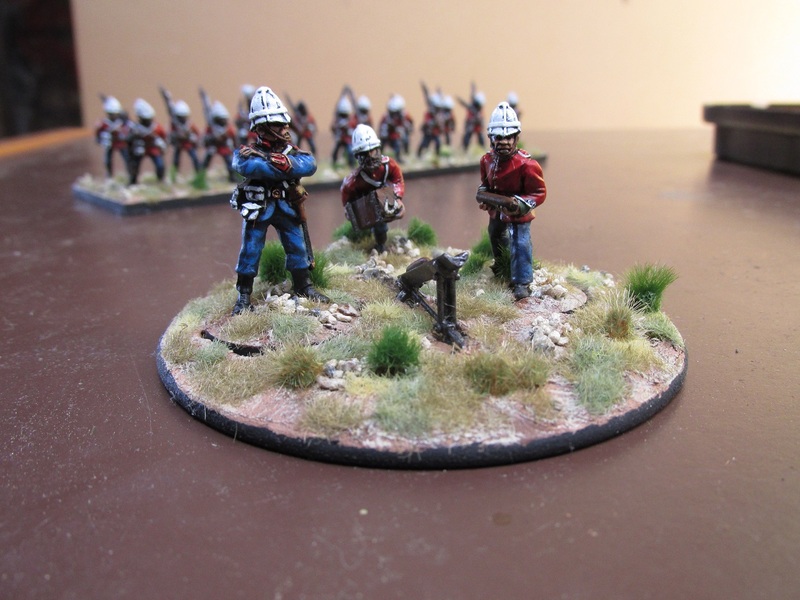 I have to say that the service I have received from Black Tree Designs has been terrific. I was missing a couple of Zulus from an order of hundreds and within no time they sent me the missing miniatures plus some for my trouble and also a big bag of spare shields and spears. Top stuff. 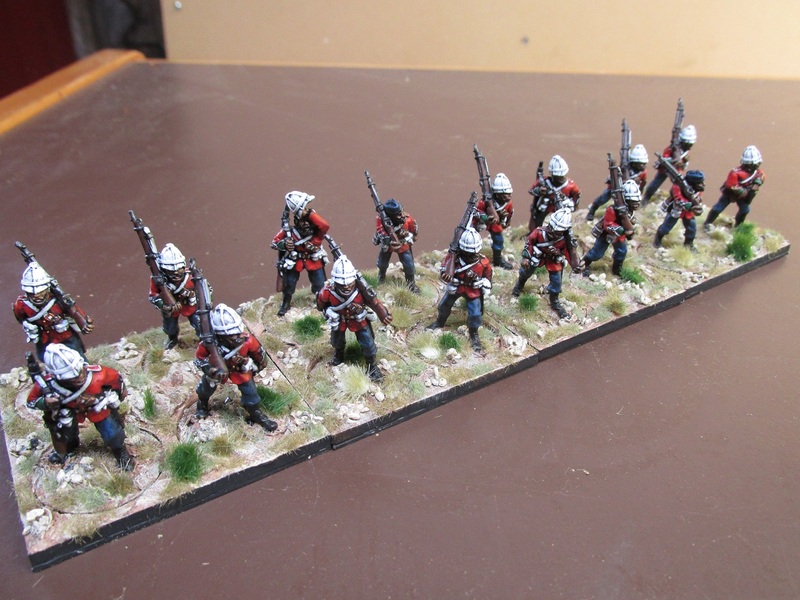 On to the British Infantry. To be honest, I felt like I was painting these with a roller. They are not my best but will do to fill out the ranks. 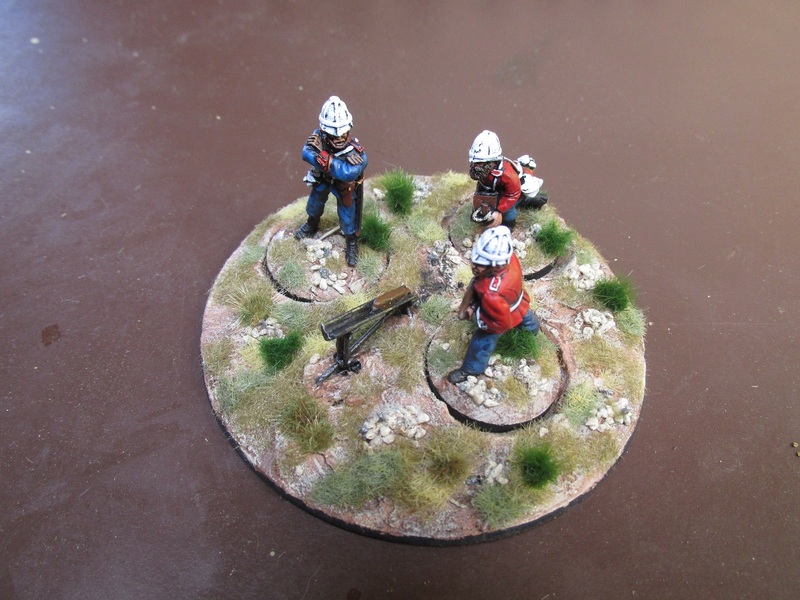 I have added another artillery unit – Russell’s Rocket battery. This model is the Black Tree Hale Rocket trough and two crew. 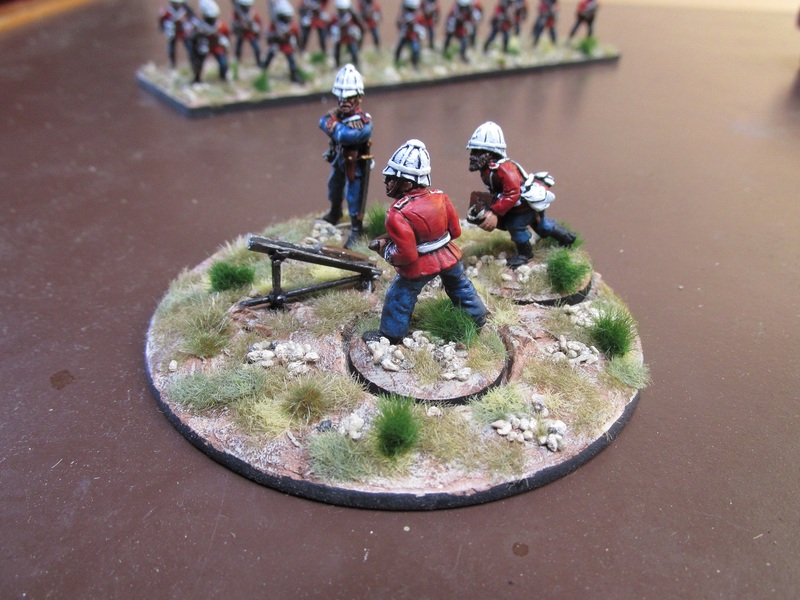 I have added a Redoubt British infantry man carrying a crate of ammo (or in this case perhaps rockets). Well done Brian. I knew you couldn’t stay away from the little men for too long! Good you are back. 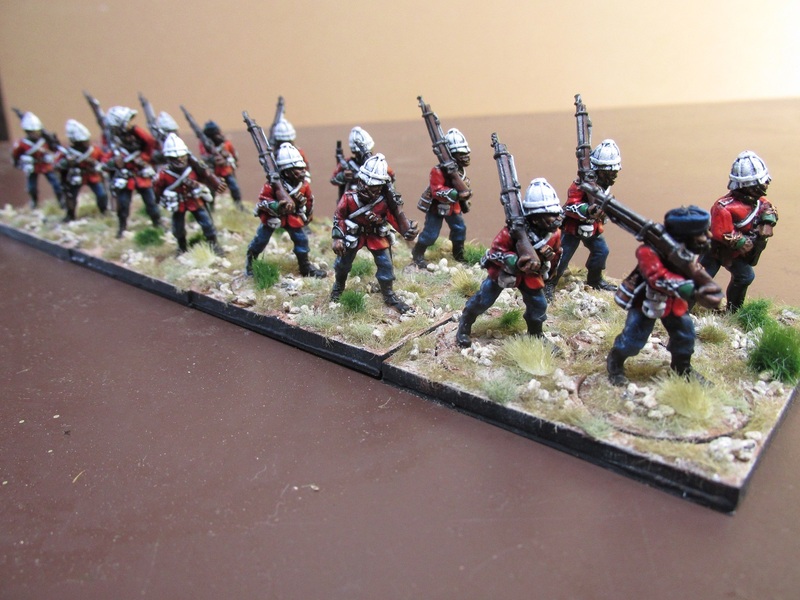 The basing is top notch with these guys and the paintjob is also veru nice, with lots of contrast.